Are your opinions determined by your assessment of the important facts in a given situation? Or are they manipulated by subtle broadcast techniques spawned by billions of dollars of research on how to get you to act against your own best interest? Are you spending years and thousands of dollars getting an education that gives you an accurate picture of how the world works? Or are you learning a history created by the “winners” – a history that was intentionally designed to serve the future control of a hidden oligarchy at your expense? Do you keep choosing leaders that have been credentialed and promoted by private interests to engineer the destruction of your rights and the theft of your assets? Why? Are your thinking and your ability to act deteriorating as a result of intentional promotion of destructive agendas by means of vaccines, processed foods, water fluoridation, pharmaceuticals and chemtrails? Are you lured by false promises of financial reward, inclusion, and social prestige into promoting these and other harmful substances or pretending they are not a problem? When you choose vendors for your business, is it because they offer the best services with integrity or because they use entrainment and subliminal programming on phone calls without your knowledge? Does their understanding of your business reflect trap doors that they have illegally included in the software programs they sold you or high tech eavesdropping of your internal meetings? Have they planted someone in your business who works for them to “manage” your opinions from the inside? When your children consume violence on TV and in video games, are they being entertained? Could it be that they are being programmed with the same methods that the intelligence community has used to train assassins to be comfortable with killing? Were you persuaded to support gun control as a consequence of school shootings by children? Have you considered that some or all of those children may have been “Manchurian candidates,” programmed for covert operations? Indeed, the history of using children for assassination and covert operations is centuries old, including by American military and intelligence agencies. When you moved your mother from a government subsidized rent-controlled apartment to government assisted living managed by the same property manager and real estate investment fund, was it because her mental acuity had deteriorated simply as part of the aging process? Or was it due to poisons or electromagnetic weaponry arranged by the landlord with the help of a private security firm to increase profitability per elderly tenant by engineering an accelerated deterioration? Mind control is one of those topics often excluded from polite conversation. It requires us to face the fact that we and the people we love are being manipulated by something that our current education and social status – and even local law enforcement – may not be able to protect us from. It is a topic that can be overwhelming, even terrifying. Yet the first step toward protecting ourselves is to be able to understand our environment, make decisions clearly, and act in our own best interest – even organize with others to do so. The good news is that learning about mind control also involves discovering your mind’s extraordinary power – a positive step towards using your mental powers to serve your purpose and act in the highest and best interest of all concerned. 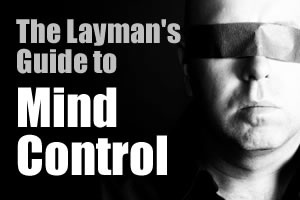 On this week’s Solari Report, I will present a specially prepared briefing, “A Layman’s Guide to Mind Control.” I will introduce the topic of mind control and its various aspects, review its history, and discuss current applications that create risk to you and your assets. I will review the best books, documentaries and movies – which I have distilled from hundreds of sources – to help you explore and master this important topic. A recommended list will be posted at your subscriber cart along with the audio. In Let’s Go to the Movies, I will review two movies about mind control – Telefon and The Manchurian Candidate (2004). If you are a subscriber to The Solari Report, you can post your questions for me at your private panel. Join us live on Thursday evening by phone, listen online, or by downloading the mp3 after it is posted on Friday. If you would like to learn more about The Solari Report and subscribe, click here. Subscribers enjoy access to our complete mp3 archive. This week’s Money and Markets charts will be posted by Thursday.